In 1896, the Metropolitan Asylums Board acquired a 136-acre site at Carshalton on which they intended to construct a 800-bed convalescent hospital, to be known as the Southern Hospital. Buildings for this purpose were erected on the site in 1907-8. However, on 1st September 1908, the MAB was given the additional responsibility of dealing with "sick or convalescent or debilitated children". It was therefore decided to adapt Carshalton as a general hospital for one thousand children under the name of the Children's Hospital. The former Gore Farm Hospital at Darenth, previously mainly used by convalescing smallpox patients, took on a more general convalescent role and also inherited the name of the Southern Hospital. 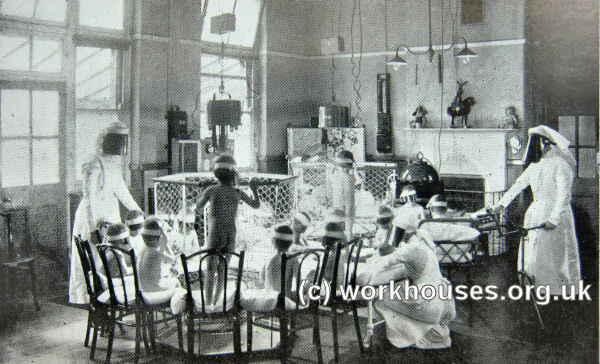 In 1914, following the accession of King George the Fifth and Queen Mary to the throne, the Children's Hospital was renamed Queen Mary's Hospital for Children. Queen Mary's Hospital from the south-west. The layout of the site is shown on the 1914 map below. At the entrance to the site at the north were placed the hospital's administrative block, together the kitchens, laundry, staff blocks, medical superintendent's house, and porter's lodge. Queen Mary's Hospital administrative block, 2005. Queen Mary's Hospital kitchens, laundry etc. 2005. 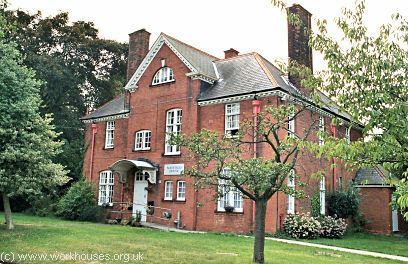 Queen Mary's Hospital superintendent's house, 2005. Queen Mary's Hospital porter's lodge, 2005. The children were accommodated in 24 pairs of U-shaped single-storey cottages, arranged in three echelons. Each group of four cottages was accompanied by a staff house. 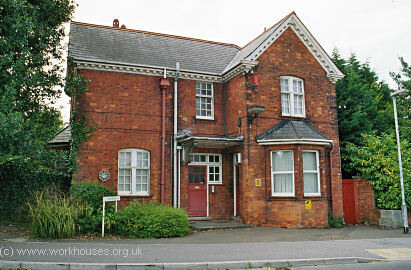 Queen Mary's Hospital children's cottage block, 2005. 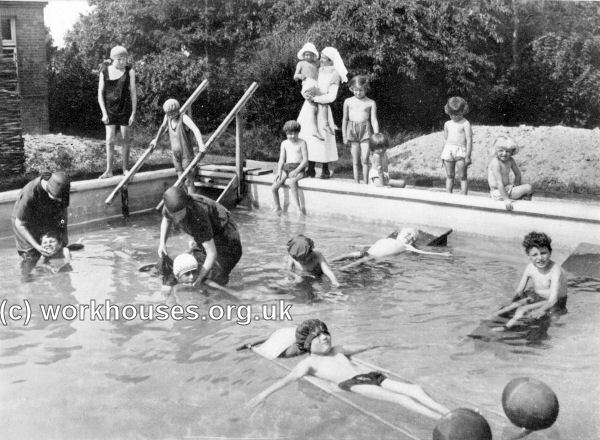 Queen Mary's Hospital hot water bathing pool, c.1930. 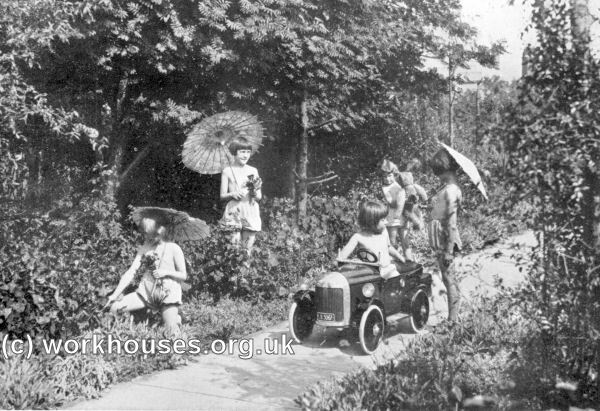 Queen Mary's Hospital — children in the grounds, c.1930. 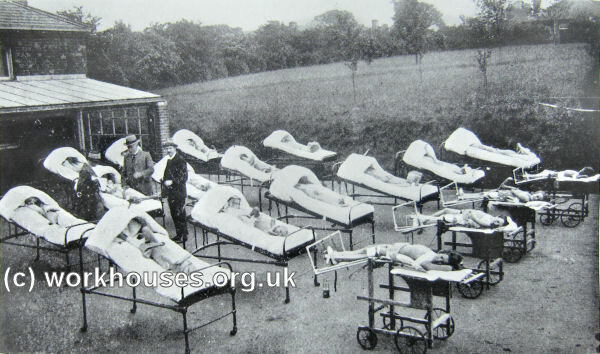 Queen Mary's Hospital — Exercises in the open, c.1930. 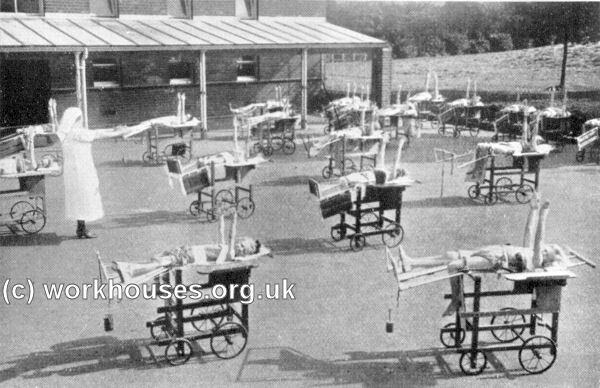 Queen Mary's Hospital — hip TB cases treated by suspension, traction and carriages, c.1926. 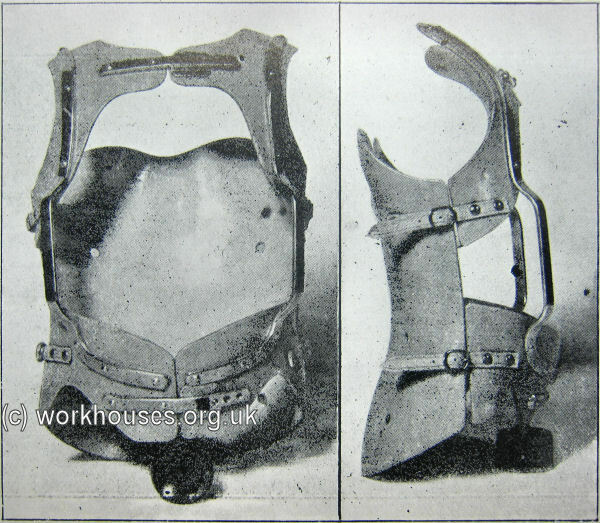 Queen Mary's Hospital — celluloid jacket for spinal cases, c.1926. Queen Mary's Hospital — artificial light treatment, c.1926. Two hospital blocks for surgical cases were placed at the south of the site. 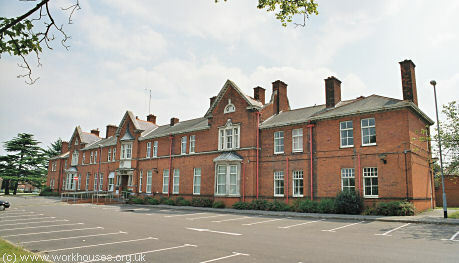 Queen Mary's was also home to the first MAB training school for nurses. 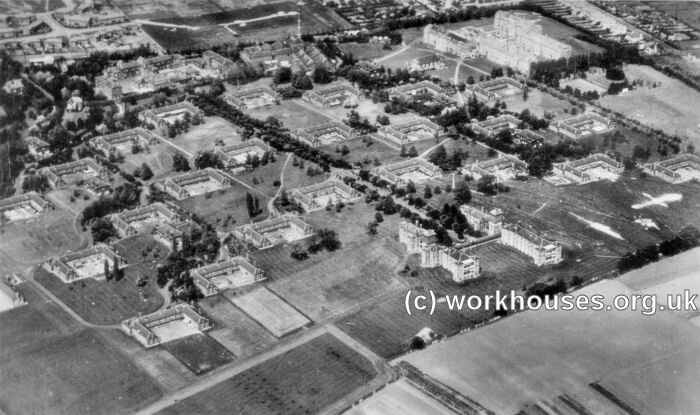 In 1959, the Fountain Hospital for mentally handicapped children was to transferred to the Queen Mary site to create the first fully comprehensive children's hospital in the United Kingdom. 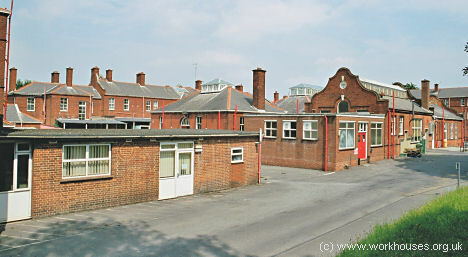 The eastern part of the hospital site has now been redeveloped for residential use and the hospital buildings demolished. The administrative block, superintendent's house, community hall, and a number of other blocks still survive. London Metropolitan Archives, 40 Northampton Road, London EC1R OHB. Holdings include: General records (1906-48); Admissions and discharges (1909-34); Staff records (1909-30); etc. Ayers, Gwendoline, M. (1971) England's First State Hospitals and the Metropolitan Asylums Board (London: Wellcome Institute of the History of Medicine). Earl, Ernest (1996) Queen Mary's Hospital For Children: an historical account through words & pictures. (Knebworth: Able).